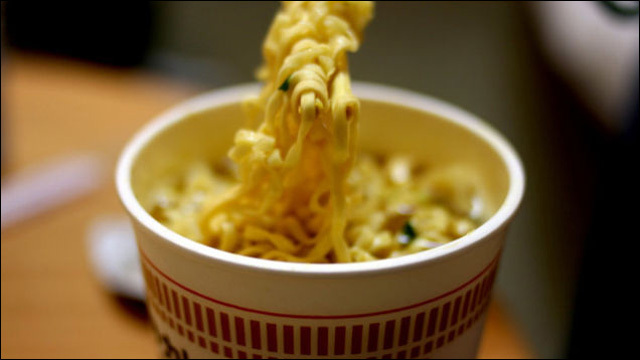 Your instant ramen noodles are a massive threat to the environment: My people, some bad news. Ramen is destroying the planet. Instant ramen noodles are apparently a main culprit of deforestation due to the high amount of unsustainable palm oil used to make them. Alas, we get the world we deserve. Former Reddit CEO Ellen Pao: The trolls are winning the battle for the Internet: Reddit's CEO Ellen Pao stepped down amidst a deluge of harrassment and threats in the face of the company's regulation of internet trolling. Pao writes about her experience, and the importance of fighting the trolls. Meet the Engineer Who Forced Silicon Valley's Gender Problem Into the Open: Tracy Chou is confronting Silicon Valley's gender gap head on -- and is not, as one brogrammer put it, "too pretty to code." How My Premature Baby Defied the Odds, Shamed a CEO and Taught Me Love: An excerpt from Deanna Fei's recent memoir, Girl In Glass, in which the author recounts the premature birth of her daughter -- an incident infamously referred to as a financial burden by the CEO of AOL, where here husband worked. Do You Know How Your Daughter Died? ": When Gloria Huang was declared dead in a Qatar emergency room, her parents had no time to grieve before they were caught up in a legal nightmare. Racial Satire 'White Squad' Is Painfully Hilarious But All Too Real: This satirical commercial for "White Squad," part of MTV's "Look Different" campaign, is almost too real to be funny. Why I Want an Arranged Marriage: "My grandma says in passing quite often how much she hopes she'll get to see me get married off to a nice girl before she gets called up to the sky. I laugh this off. I laugh it off because I'm complicit in perpetuating the myth of me as a straight man in this case. For what it's worth, though, I do hope I'll get married off to a nice guy before she gets called up to the sky. That would be very nice." The Good Indian Friend: A Manual: "The good Indian friend will hear in detail about white people's weddings in Jaipur. Here, she must feign interest, act as tour guide, offer insider tips and names of hidden spots." South Asian Americans Want to Be Accepted -- Not Merely Tolerated: Ravleen Kaur on the difference between tolerance and acceptance of the South Asian community in the United States. Chinatown man juggles family business and surfboard shop: Making boards customized for New England is a prized second career for Jonathan Wong, who grew up working in his family's grocery store. 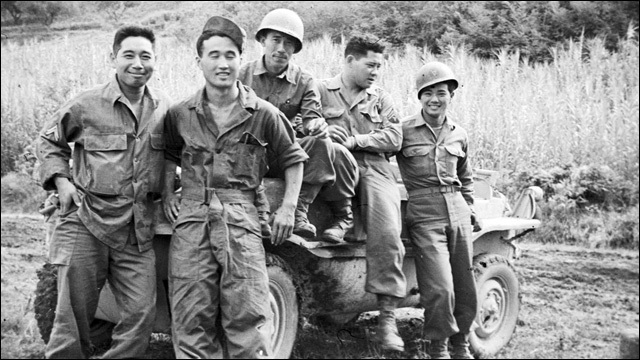 Sus Ito's WWII photos reveal daily life of a little-known Japanese American unit: Sus Ito, now 95, served in the segregated Japanese American 442nd Regiment during World War II and took pictures of life on the front. They are now on display at the Japanese American National Museum's exhibit, "Before they were Heroes: Sus Ito's World War II Images." D.C.'s Chinatown has only 300 Chinese Americans left, and they're fighting to stay. The population of Chinese Americans in Chinatown, once a bustling ethnic enclave of shoppers, merchants and residents, has shrunk from a high of 3,000 to about 300 -- half of whom are now fighting to be able to stay. 'Chop Suey's Next Wave': In a series of videos about sustainable agriculture and healthy eating, New York Times food writer Mark Bittman explores Los Angeles's Chinatown and the next wave of chop suey. How the "Vietnamese Madonna" Came to Own a Banh Mi Shop in Little Saigon: If you grew up watching Paris By Night, then chances are, you know Lynda Trang Dai. These days, in between touring as the "Vietnamese Madonna," Lynda also owns and operates a banh mi shop in Orange County's Little Saigon. Bánh Mì: The Rise of the Vietnamese Sandwich: "Since the Vietnam War ended 40 years ago, Vietnamese have shared much of their culture with the larger world. But many of us who fled as refugees could not have imagined that the Vietnamese sandwich, bánh mì, would one day become an international sandwich sensation, a culinary wonder of our globalized age. " 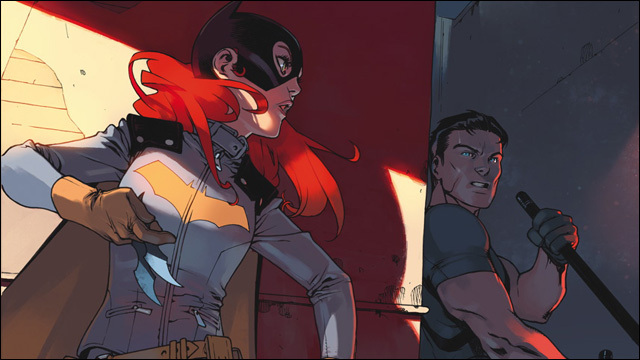 MINGJUE HELEN CHEN Brings Gotham Kids To BATGIRL ANNUAL #3: An interview with artist Mingjue Helen Chen, who brings her unique animation-inspired artwork to the pages of DC's Batgirl Annual #3. An Asian-American gunslinger takes aim in this magical western comic: Rapper Adam WarRock recorded an original theme song, "Kingsway," for Greg Pak's upcoming comic book about a Chinese gunslinger in the Old West, Kingsway West. Greg Pak's Kickstarter Primer: Writer Greg Pak's Kickstarter campaigns for The Princess Who Saved Herself and Code Monkey Save the World taught him a few lessons about crowdfunding. Here's a list of helpful hints. From Broadway to Big Bird: Behind the Scenes With Sesame Street's Alan Muraoka: An interview with Alan Muraoka, whose Sesame Street character greets his neighbors when they pass by Hooper's Store. How Bruce Lee made it 'cool' to be Chinese growing up in America: Jeff Chinn has amassed a collection of almost 10,000 items of Bruce Lee memorabilia, now on show at the Hong Kong Heritage Museum. Soso and Chang, prison bunkmates by default: Why won't "Orange Is the New Black" expand its Asian cast? The popular Netflix series depicts an equal number of white, black and Latina characters -- and still only these two Asian women.